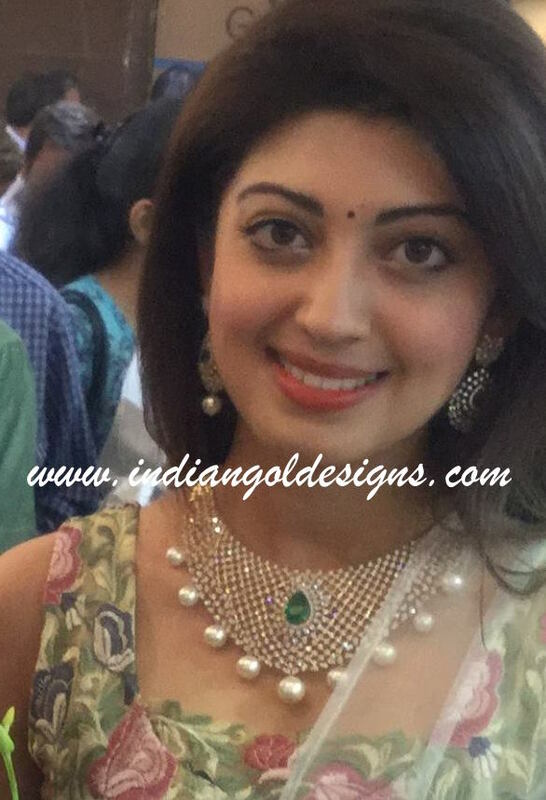 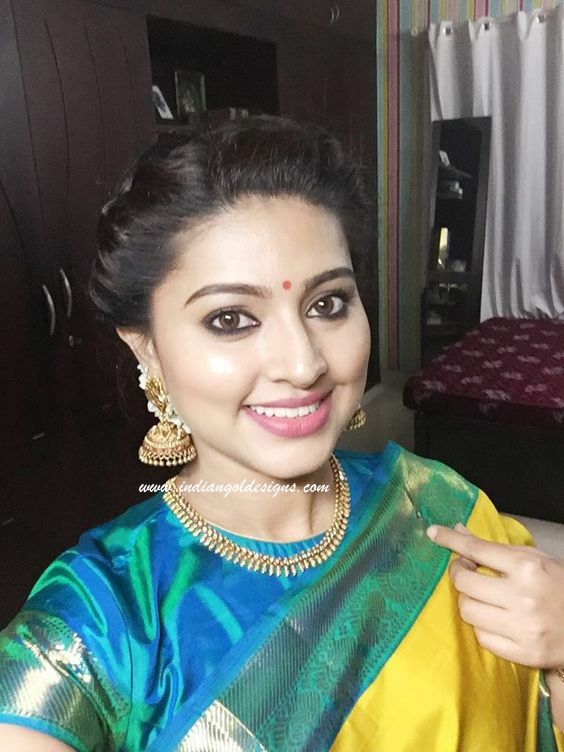 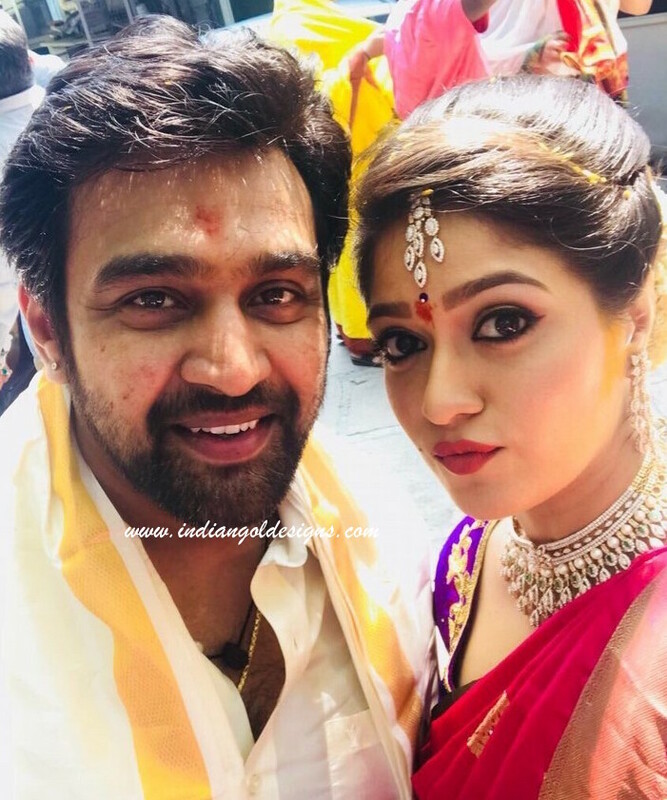 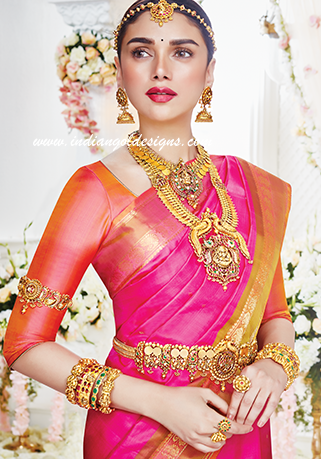 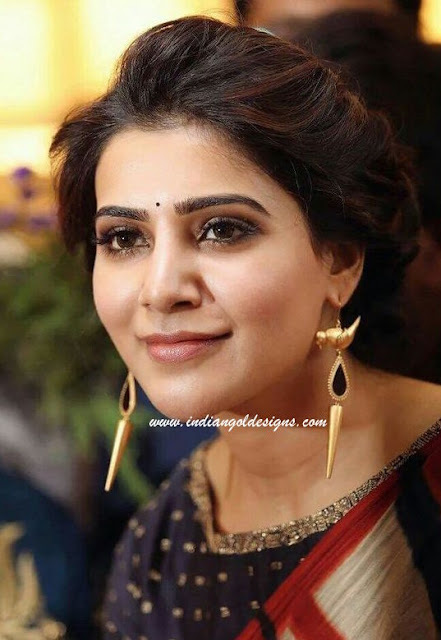 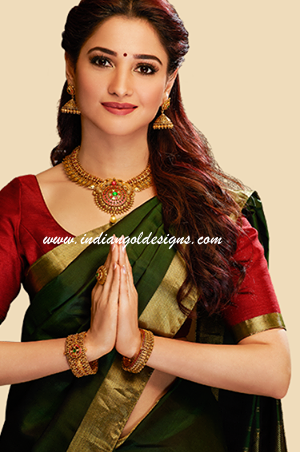 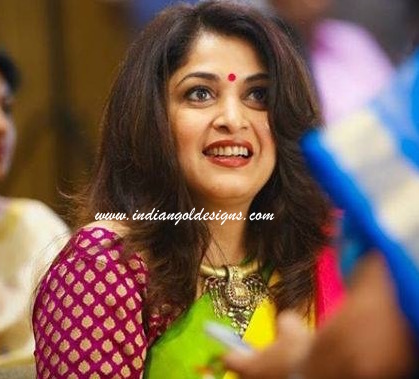 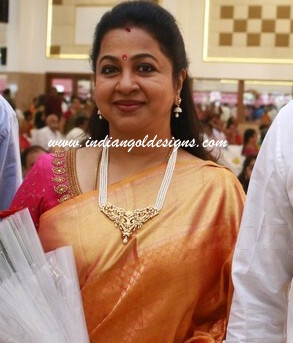 Checkout actress Tamanna in temple jewellery. 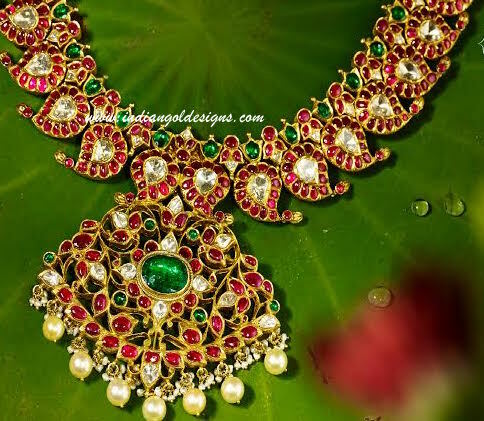 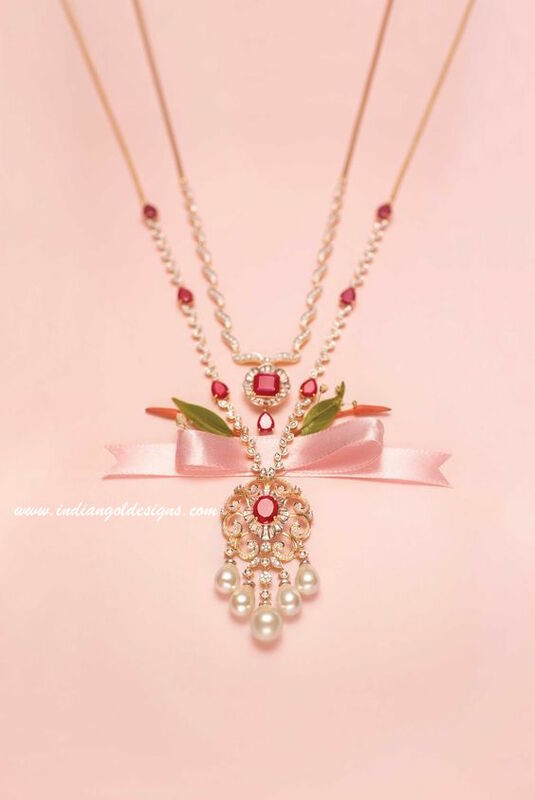 22k gold peacock necklace with rubies emeralds and with pearl dropspaired with matching jhumkas and bangles. 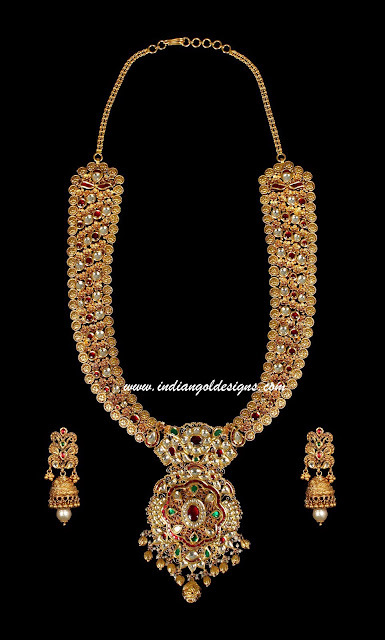 All jewelery in antique finish. 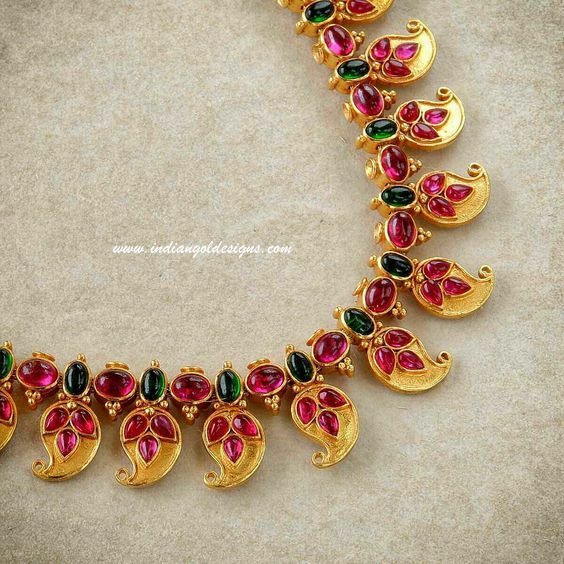 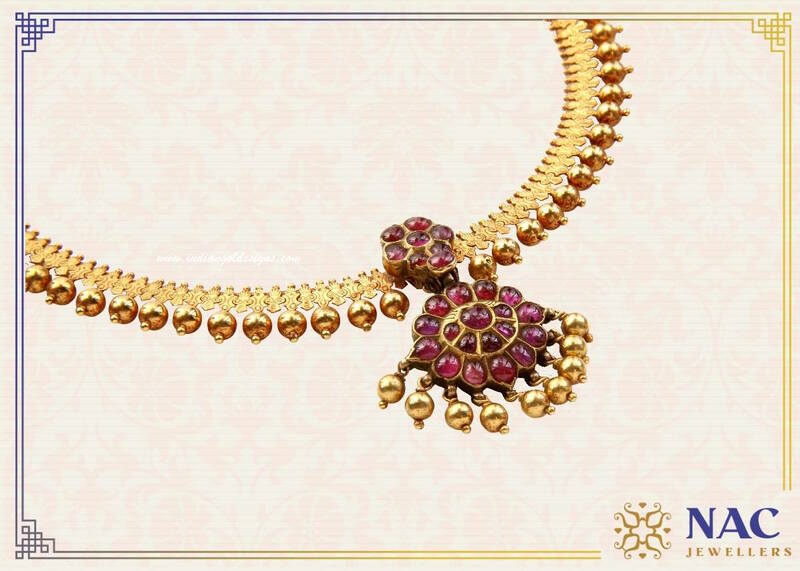 Checkout 22k gold mango mala necklace with rubies and emeralds and pearls and uncut diamonds Traditional gold necklace design. 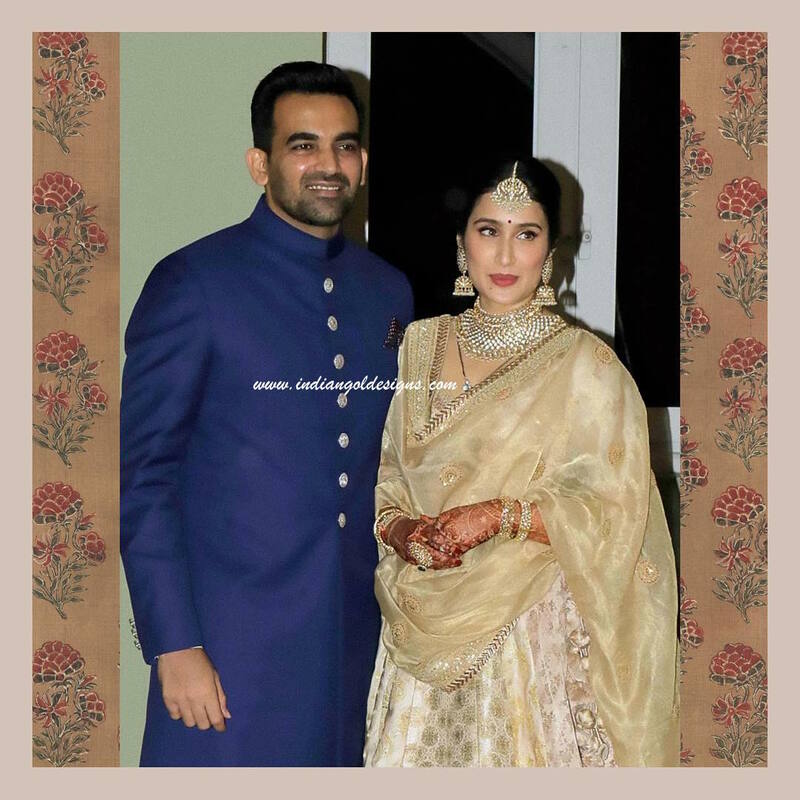 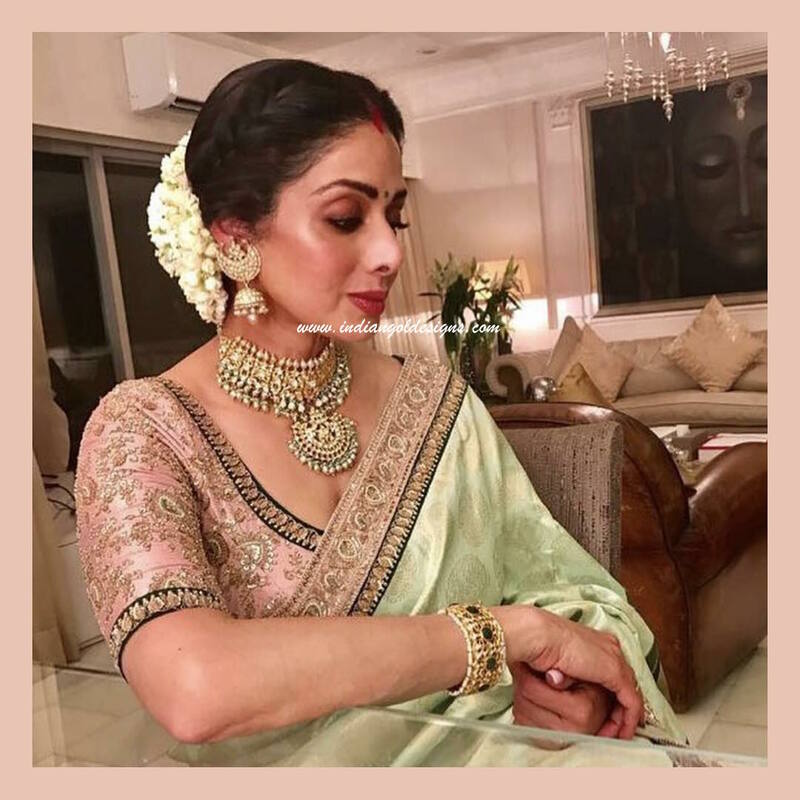 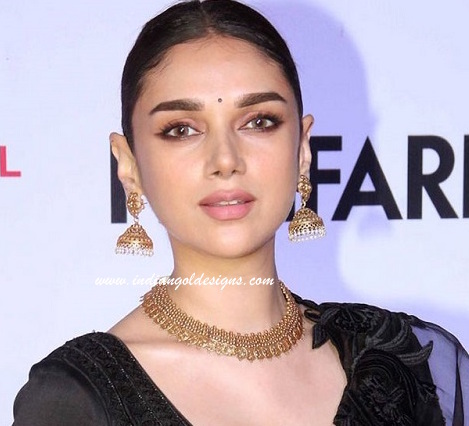 Checkout aditi rao in gold bridal jewellery. 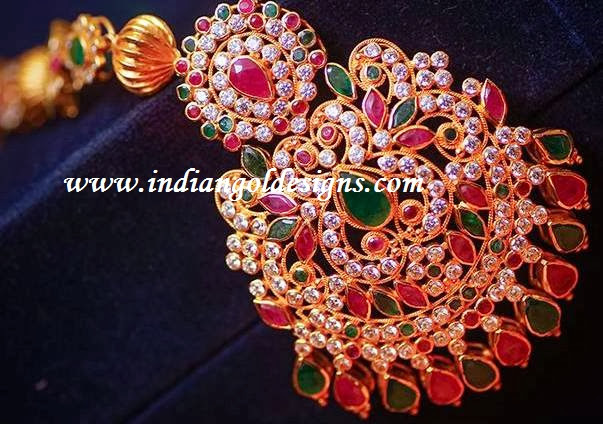 22k gold kundan beautiful bridal jewellery studded with gemstones , matching earrings, bangles and rings. 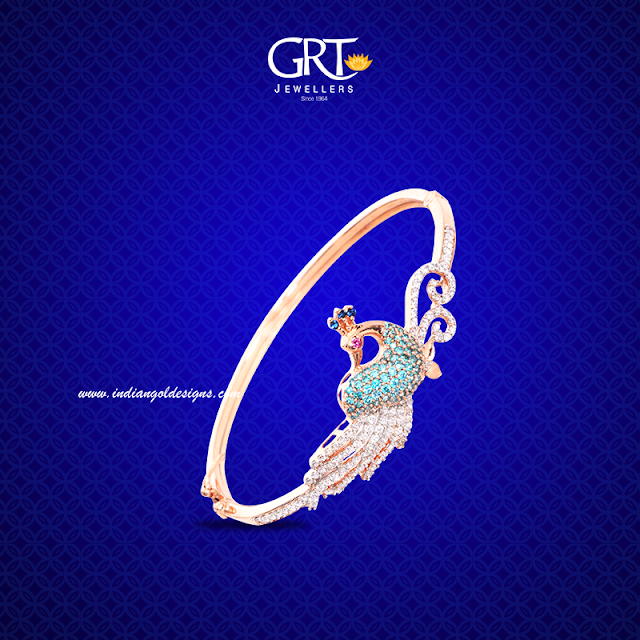 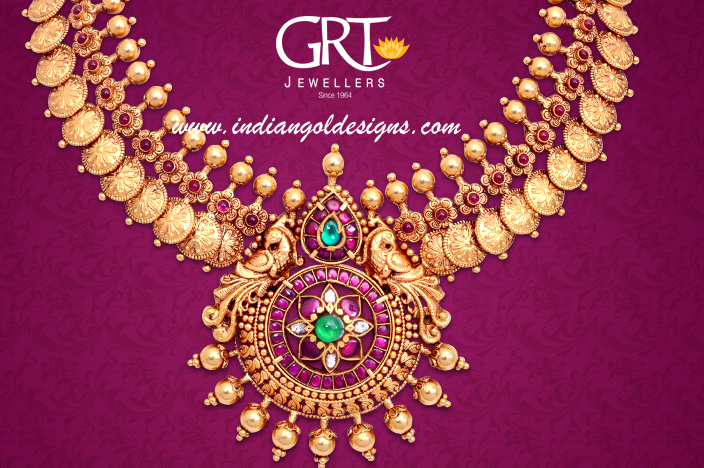 Such exquisite jewellery from GRT JEWELLERS. 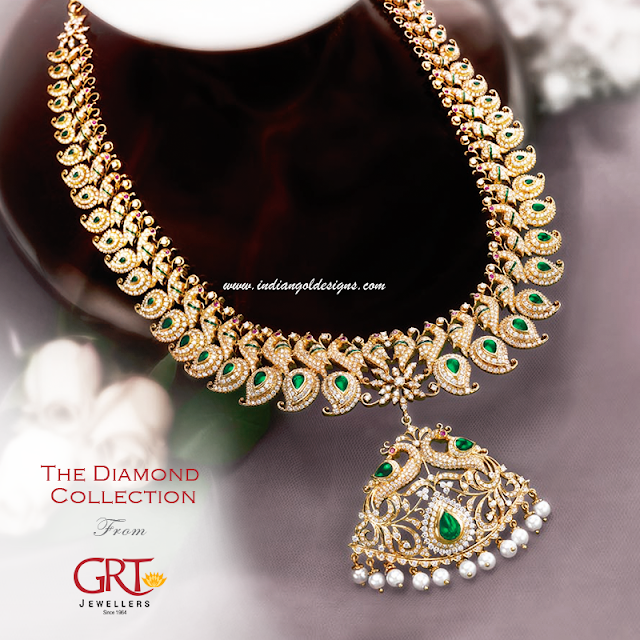 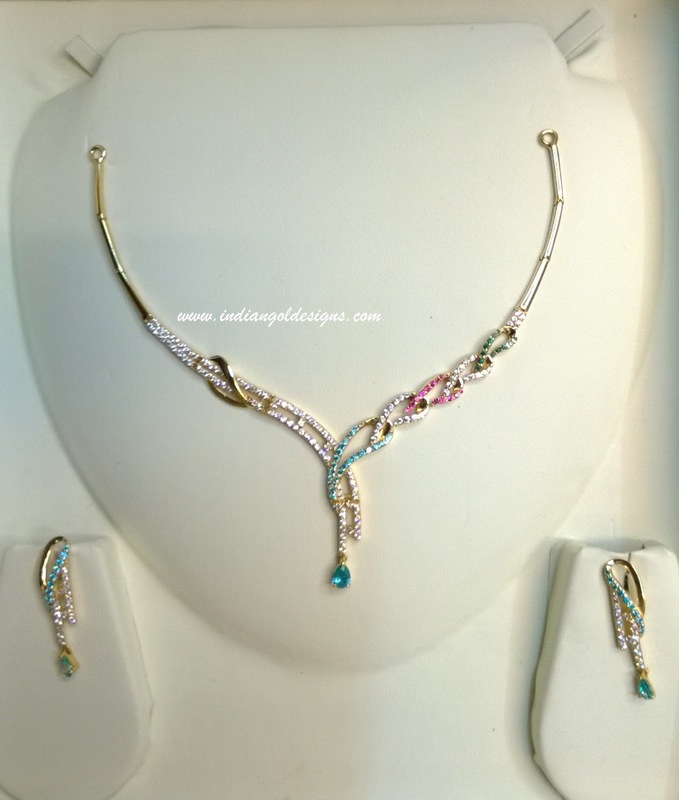 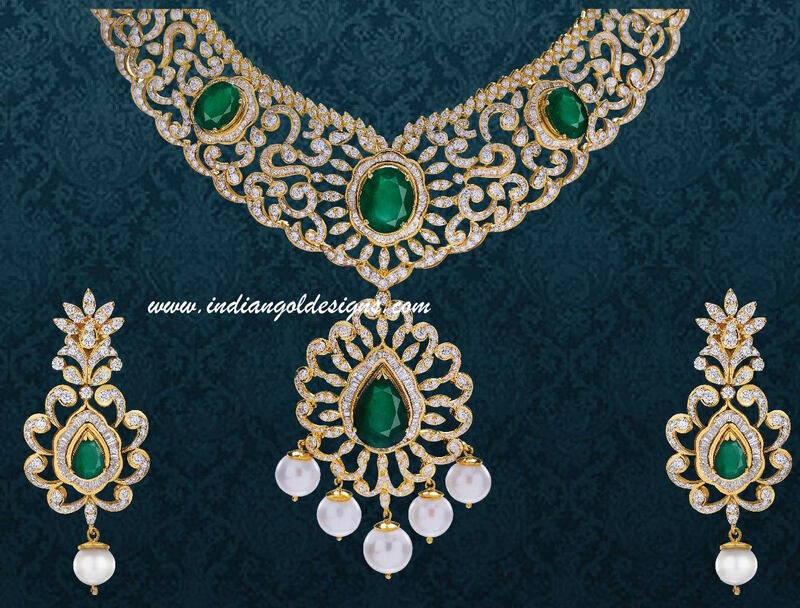 Checkout 18k gold designer diamond bridal necklace paired with matching earrings and maang tika. 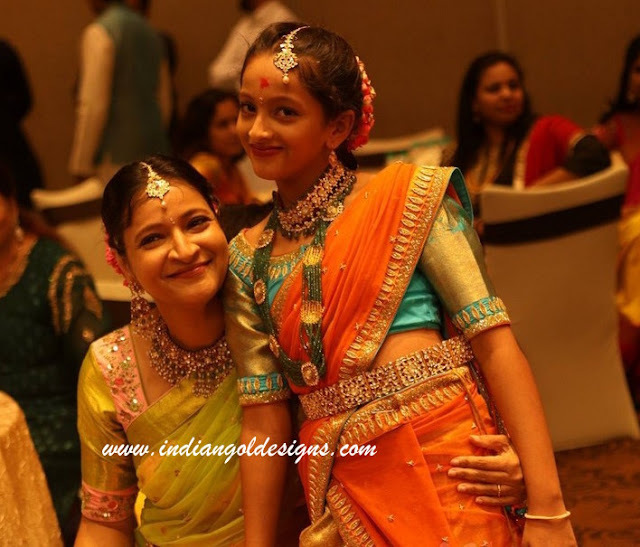 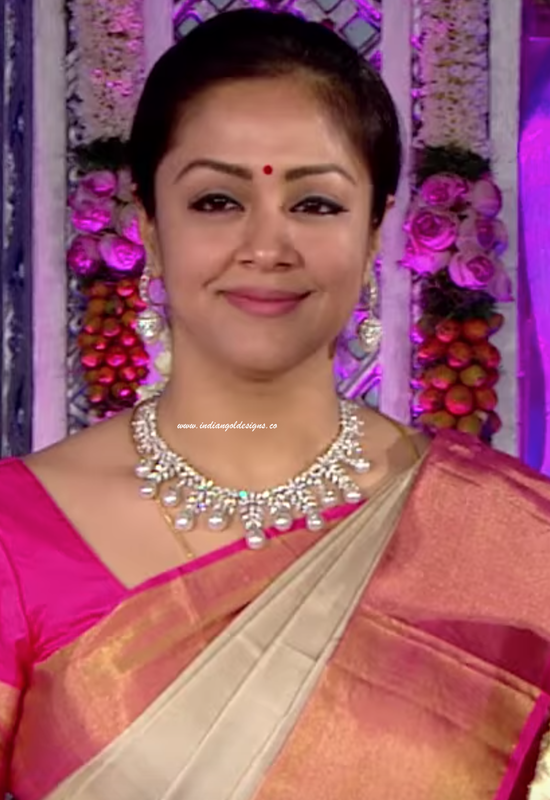 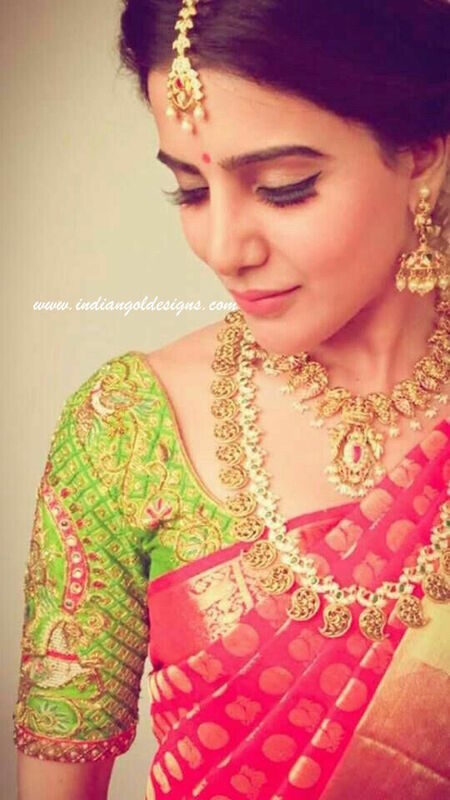 South indian diamond bridal jewelery designs. 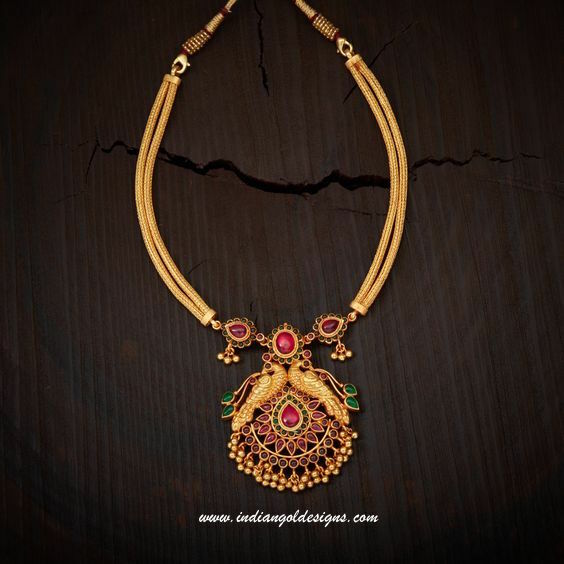 Checkout 18k gold designer peacock vaddanam with pearl drops. 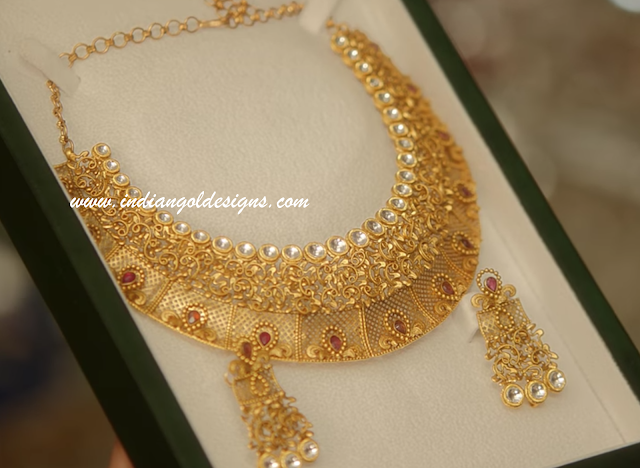 Latest Diamond bridal vaddanam design. 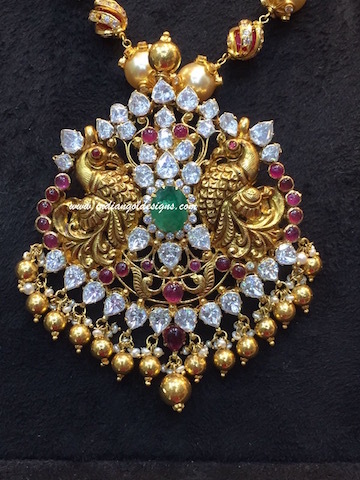 Checkout 22k gold designer peacock pendant design studded with gemstones. 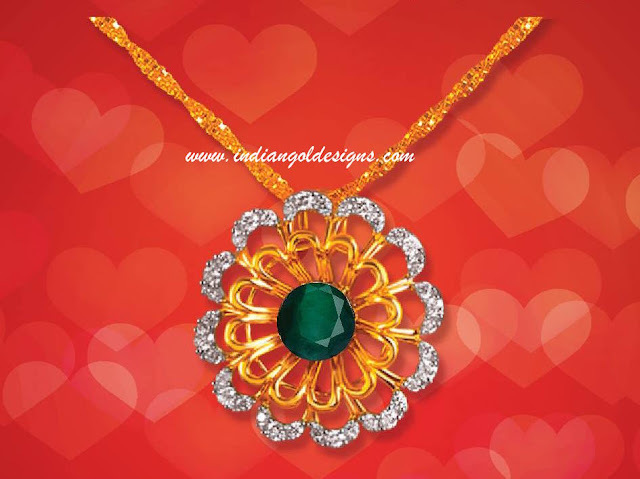 Beautiful pendant design .